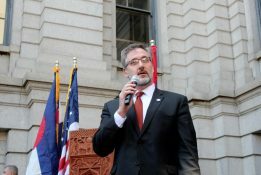 A Colorado state holiday commemorating the Armenian Genocide was adopted in 2017, and in 2018 a bill to name a portion of a state highway, Sardarapat Memorial Highway, will be introduced in the Statehouse on Tuesday, Armenian Genocide Remembrance Day. 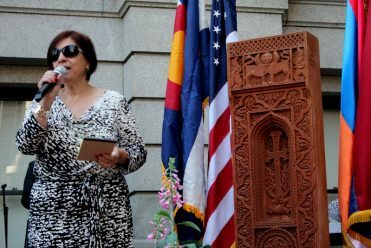 Armenians of Colorado held a memorial event outside of the state capitol on Sunday, an event that took place next to the dedicated Khachkar memorial structure of the Capitol grounds’ Armenian Memorial Garden, dedicated in 2015 at the 100th anniversary of the genocide. 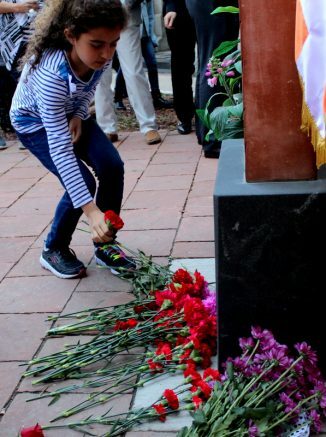 April 24 marks the day in 1915 that soldiers of the Turkish Ottoman empire forced community leaders into deportation from Constantinople to Ankara ending in the murder of most and is considered the first day of the beginning of the Armenian genocide. 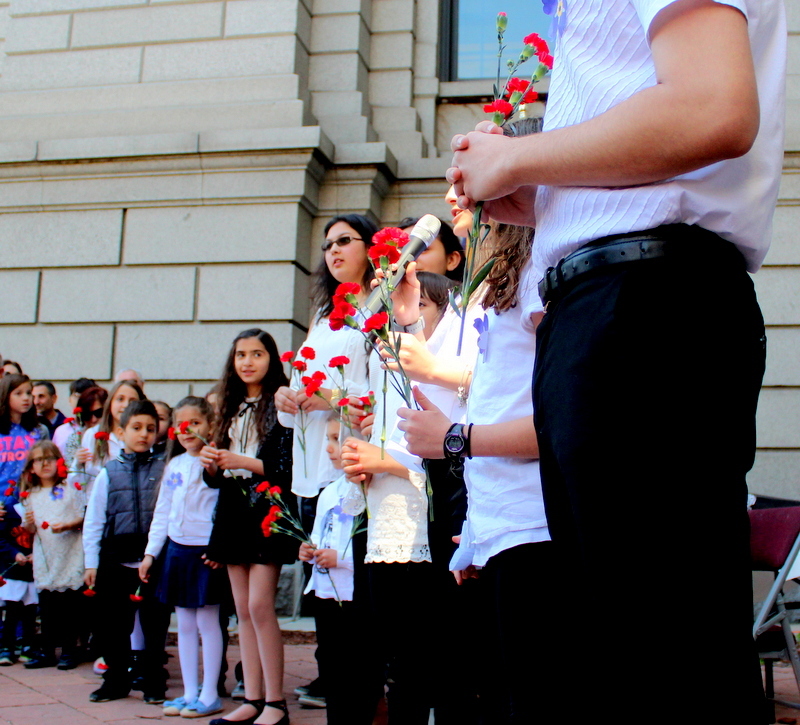 Eventually 1.5 million Armenians were killed. 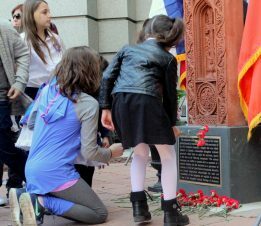 The plan to remove Armenians began with the removal of males, and then targeted women, children, and the physically weak who were led to their deaths in the Syrian Desert. The 1918 Battle of Sardarapat is considered the turning point in stopping the Ottomon affront and currently marks the western border of Armenia. 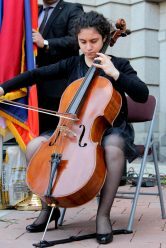 The event included speeches by US Representative Mike Coffman (R-6) and state Representative Cole Wist (R-37) who talked about his marriage to an Armenian woman 27 years ago. 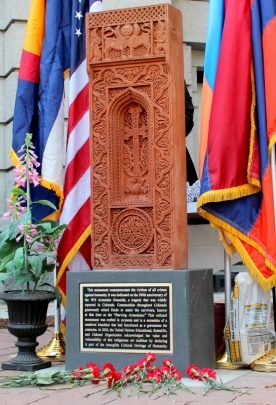 The proposed memorial highway would name the portion of Arapahoe Road from Interstate 25 to Parker Road in Arapahoe County to be named the “Sardarapat Armenian Highway” to pay tribute to the survivors of the genocide.